Prince Harry says a public perception that the AIDS crisis was over posed a risk to the progress of the past 30 years. PRINCE Harry channelled his mother Princess Diana at the International AIDS Conference in Amsterdam where he joined Sir Elton John onstage to announce a billion-dollar endeavour to help reduce the spread of the virus. Diana, Princess of Wales, played a prominent role in destigmatising AIDS and was famously pictured shaking hands with a man inflicted with the illness when she opened the UK's first purpose-built HIV/AIDS unit in 1987. 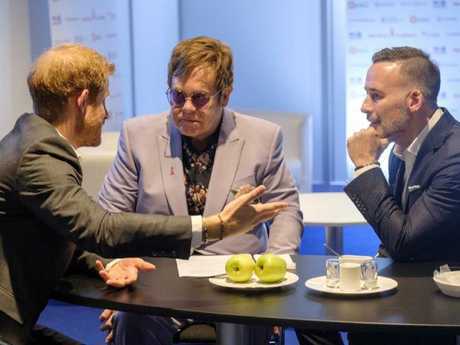 Prince Harry, Elton John and David Furnish discuss the MenStar Coalition, which will expand the diagnoses and treatment of HIV infections in men. Prince Harry, 33, said the "smashing of the deadly stigma around the virus - and calling out the prejudice that has fuelled it" was a big challenge faced by those looking to combat the spread of the disease. In 2006, the Duke of Sussex founded a charity, Sentebale, which supports the mental health and wellbeing of young people affected by HIV. Princess Diana famously helped destigmatise AIDS when she opened the UK’s first purpose-built HIV/AIDS unit in 1987. He said understanding the suffering of those inflicted with the disease and the ways they had been exposed to it was the most effective way of spreading awareness about the disease. Sir Elton, 71, has previously praised Prince Harry for inheriting "his mother's ability to walk into a room and make … everyone feel equal". 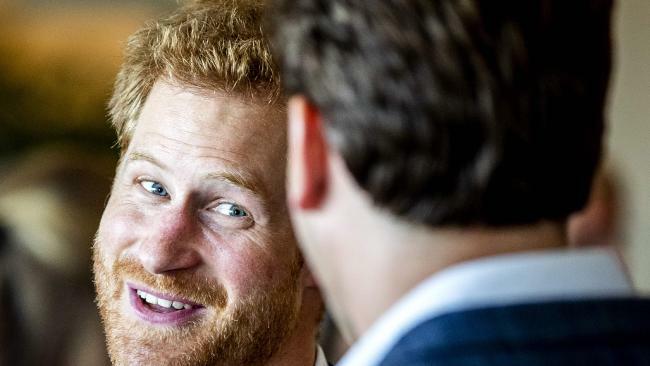 The Duke of Sussex said he was honoured to share the stage with Sir Elton, who performed at the reception to his wedding to Meghan Markle in May as well as his mother's funeral in 1997. "For over a quarter century, Elton has worked tirelessly to fund research and services in communities around the world," he said. "And today, he has come to Amsterdam to announce his latest endeavour (MenStar Coalition) - a billion dollar global partnership to break the cycle of male transmission of HIV, particularly in sub-Saharan Africa." The program will focus on a lack of awareness of HIV prevention among young men. Prince Harry said a public perception that the AIDS crisis was over posed a risk to the progress of the past 30 years. "Too many around the world are still ignoring the damaging knock-on effect on education and other community services from not prioritising HIV prevention and treatment," he said.